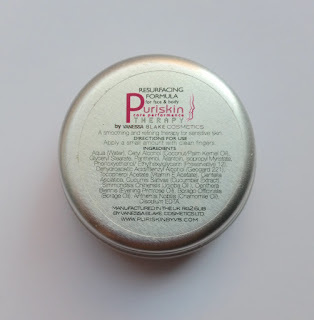 I have tested this Resurfacing Formula cream out on so many different things. In fact, I'd say that nine times out of ten it's always within reach of me because I'm always finding another reason to use it. The packaging states to use just a small amount, so a little goes a long way. When you first apply it it leaves a cooling sensation on the skin. This is particularly great if you're applying it on something such as eczema or sunburn as it provides relief to the skin as well. I have tried it on dry patches, eczema on my daughter, blemish marks, hang nails, bruises, post-shaving, sunburn, everything. And let's just cut straight to the point - it works brilliantly. Dry skin is cleared up quickly, blemish marks disappear in half of the time, as do bruises and cuts and anything else similar. It's definitely a magical little product. I've also used it on my eyebrows post waxing and it does a fab job of helping to reduce redness and to soothe the area. Looking at reviews online, some like using this as an all over face moisturiser, which you can do if you want. Personally, I haven't been trying it as that so I can't pass an opinion there, but I have used it as more of a localised treatment for different issues. Once it has dried, it surprisingly gives a matte finish. With something like this you would expect a shiny, greasy kind of finish, but that isn't the case. Due to the matte finish, I can understand why a lot of people would enjoy using this as a facial moisturiser or a makeup primer. I can also assume that due to the cooling effect it would be nice as a summer time moisturiser or even a good night cream on hot, muggy nights. At this point of my reviews I usually take a quick look into the negative aspects of the product, but this is one of those rare occasions where I am struggling. It works fantastically, it's price is incredibly fair for what you get out of it, it isn't awkward to use, the packaging is fine, it's just a great all-rounder. With that said, when you hear so many great things about a product you can go into testing it with these ideas of how amazing you expect it to be, but that can also make it easier to get disappointed when it doesn't work how you imagine. That can be the case with something like this. My advice is to always go into testing with an open mind and your love for it will probably be as strong as mine is. If you are looking for a new multitasking beauty hero in your life, I cannot recommend this enough. Just give it a go and I promise you'll be reaching it out for it all of the time. 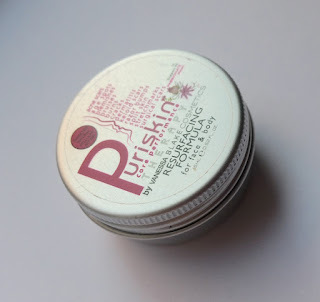 You can purchase the Puriskin Core Performance Therapy Resurfacing Formula for Face and Body from Birchbox. 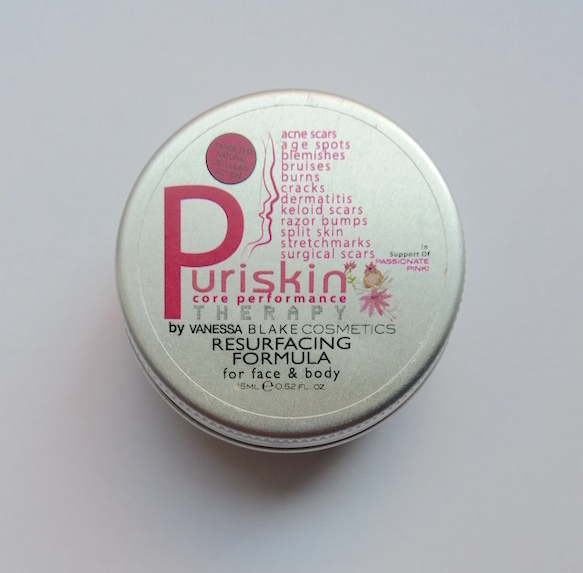 What are your thoughts on the Puriskin Core Perfomance Therapy Resurfacing Formula for Face and Body? What's your favourite multitasker?